As you crawl through the undergrowth, you hear the snap of a twig, you turn your head to find that you are ambushed by your enemies. The adrenaline rush is phenomenal, the tension unbearable, sweat pours from pores you never knew you had! One minute you are stalking, the next you are being stalked. Wild Park is a centre of excellence for great Quad Biking ! 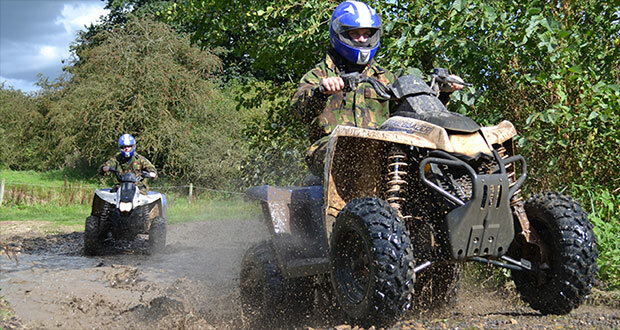 We are an “Extreme” Quad Bike trekking centre, whether you are an experienced Quad Bike Off roader or a Quad Bike first timer Wild Park is the place for you. There is no other venue like us in the UK. Are you ready !!! 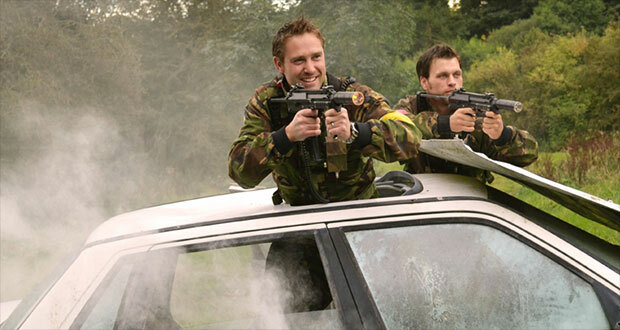 Laser tag is the perfect mix of action, adrenaline and fun. 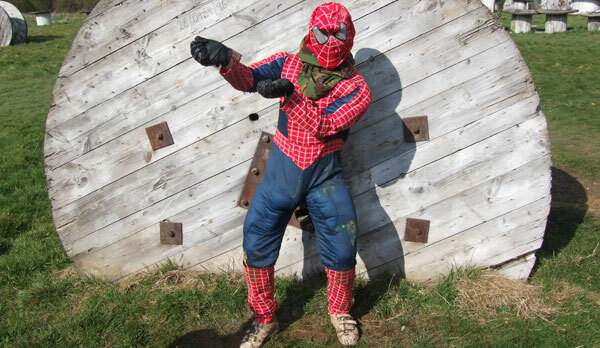 Here at Wild Park we play 6 games with different missions and objectives, you will be kitted up at the start of the day in freshly laundered camo overalls, waistcoat and a replica MP7 Heckler and Koch sub machine gun. A great way to let off some steam and it also improves your hand eye coordination, Archery is suitable for everyone 8yrs+ so come as a family, with friends or colleagues. 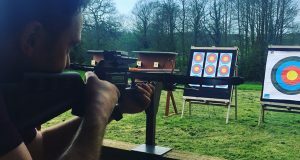 If you love archery and pistol shooting, you’re really going to love Crossbow shooting! 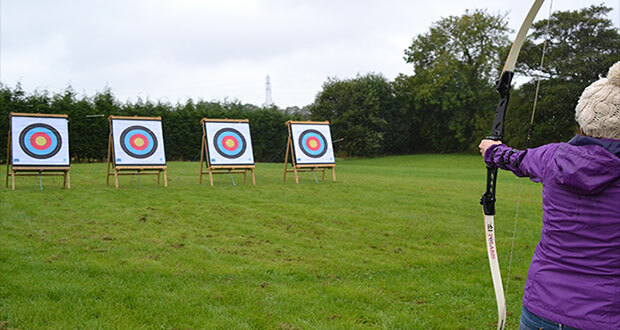 Just like Archery, you’ll need a steady hand and a good eye; Crossbows at Wild Park are perfect for everyone including complete beginners, you don’t all have to be as good as William Tell! 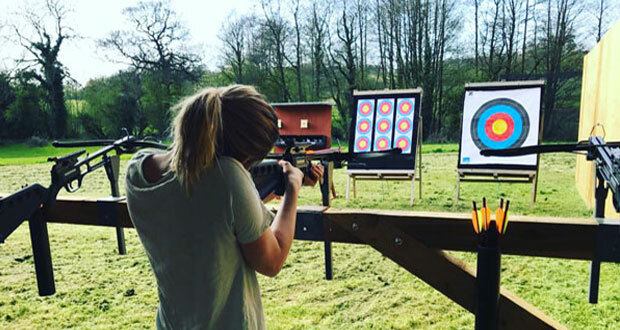 Have you got what it takes to hit the target? 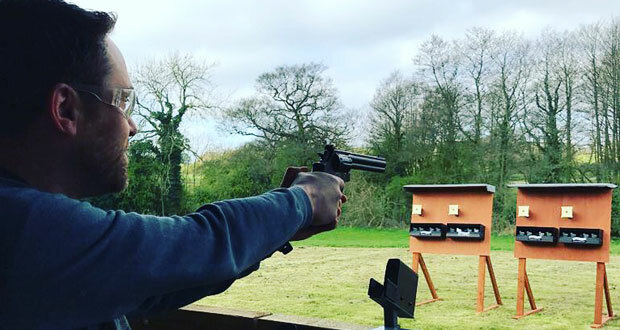 A steady hand, and a good eye helps but Pistol shooting is suitable for complete beginners. Come and try our Smith & Wesson Mod. 586 .177 Air Pistols with a 10 round magazine. 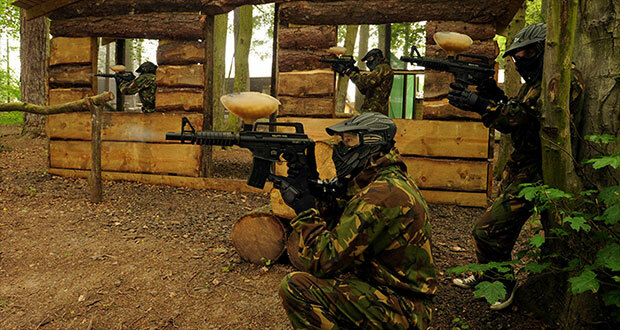 Book a full day of Paintballing for just £20 per person including 200 paintballs each. 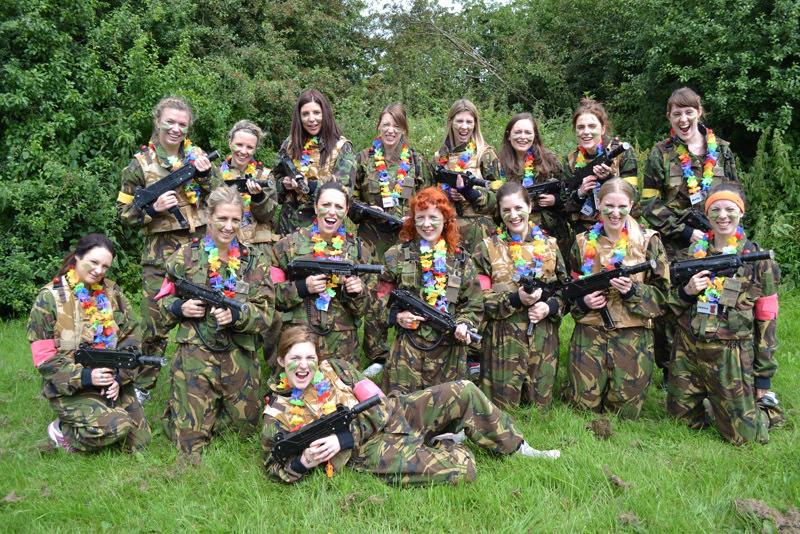 Welcome to Wild Park Derbyshire ... "the Ultimate Paintball, Laser Tag, Quad Biking Trekking & Archery experience in the UK"
Wild Park Derbyshire is a family run Paintballing, Laser Tag , Quad Biking Trekking and Archery venue. We have been established for over 20 years in the Peak District. We are situated in the heart of Derbyshire but only 10 minutes from the City of Derby and Ashbourne at Brailsford. On arrival you will be greeted by our friendly and experienced staff, whose main priority is to ensure your safety and enjoyment. Wild Park Derbyshire is equipped with excellent facilities including separate changing rooms with hot showers, washrooms and toilets. There is a large car park suitable for coaches. 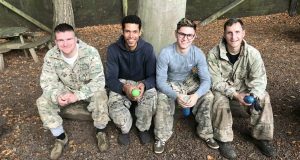 All the latest state-of-the-art equipment for Paintballing, Laser Tag and Quad Bike Trekking is provided to make your day as safe and enjoyable as possible. 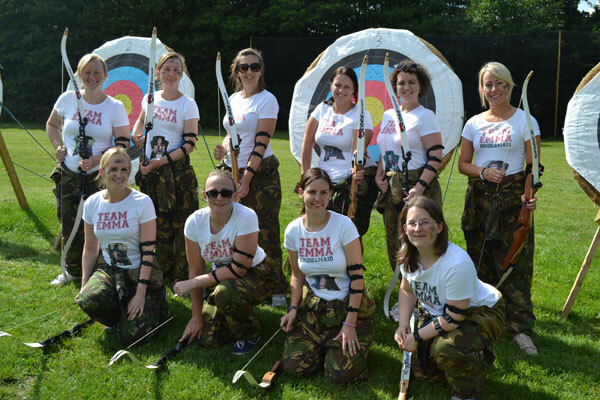 Our facilities are also available for outdoor team building exercises, meetings and corporate events. 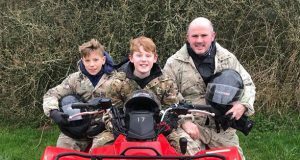 We are very fortunate to own our site and the land around us so it has been possible for us to continually reinvest in the facilities and equipment that will keep us at the top of the Paintballing, Laser Tag, Quad Biking and Quad Bike Trekking industry for many years to come. We set the bench mark for others to follow!! As a valued customer we are really looking forward to seeing you sometime soon. You are just a phone call away from an adrenaline packed fun day. Come and visit Wild Park Derbyshire, whether you're in Ashbourne, Birmingham, Derby, Matlock, Newark, Manchester, Nottingham, the Peak District, Sheffield, Stafford, Stockport, Uttoxeter or the surrounding areas of the East and West Midlands we are not too far from you. 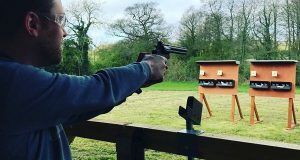 What an ideal way to spend a day whether you're on your holidays and looking for something to do or whether you are a Stag or Hen Party looking for something different. Lots of people come on their birthdays, get together with family and friends or work colleagues and come and have a great time. We are an outdoor activity centre, please dress for the weather. For wet and cold days you will need waterproofs and warm layers of clothing, finger gloves if necessary. Strong footwear or walking boots are essential, open toe shoes, sandals or flip flops are not suitable. Customer Comments... "Had such a fantastic day with yourselves"
Feedback on events/days out isn’t something I normally do but last Saturday I had such a fantastic day with yourselves, I just had to. 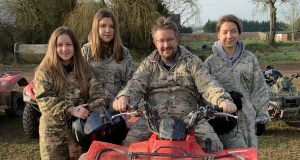 I did your quad biking morning on the 24th November; I was a little apprehensive before we began but after watching your safety briefing and being introduced to our instructor, Jake, I felt right at home. He was knowledgeable and understanding, friendly and had a great sense of humour- The perfect personality for such an activity! The day was everything I had hoped it would be and more! I’ll most definitely be recommending yourself to all my friends and family and will be returning in the very near future for some team building with my new team here at DCHS.